While promising, the findings presented by the researchers are based on low quality of evidence. Transcutaneous electrical nerve stimulation (TENS) may represent an effective treatment for the prevention and management of migraine, according to a meta-analysis published in the Journal of Headache and Pain. Although promising, the findings presented by the researchers are based on low quality of evidence. 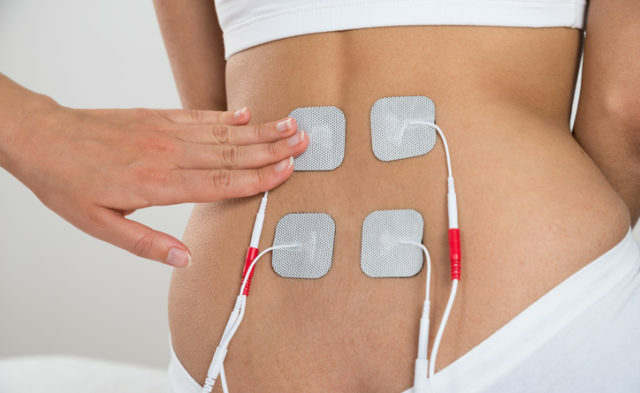 TENS consists of the delivery of pulsed low-voltage electrical currents across the skin to stimulate peripheral nerves. For this meta-analysis, 4 randomized controlled trials that examined the efficacy of TENS (n=161) vs sham treatment (n=115) in adults with migraine were identified. Studies reported efficacy of treatment in terms of reductions in the number of migraine days, headache days, migraine attacks, and pain intensity. Rates of adverse events and treatment satisfaction following TENS were also examined. In the pooled analysis, treatment response was found to be greater in patients receiving TENS vs sham intervention (32.9% vs 7.8%, respectively; responder rate, 4.05; 95% CI, 2.06-7.97; P <.001). The use of TENS was associated with a reduction in the number of monthly headache days (standardized mean difference, -0.48; 95% CI, -0.73 to -0.23; P <.001). In 2 studies, TENS was associated with a reduction in monthly painkiller intake compared with sham control (standardized mean difference, -0.78; 95% CI, -1.14 to -0.42; P <.001). Treatment satisfaction was higher in those receiving TENS vs sham treatment in 3 studies (responder rate, 1.85; 95%, 1.31 to 2.61; P <.001). The rate of adverse events was low or nonexistent. A limitation of this analysis includes the low number of randomized trials, all of which had small patient cohorts. “TENS could be of help also in patients with (or at risk for) medication overuse and in fragile migraine populations, namely children, adolescents, pregnant [women], and the elderly,” concluded the study authors. Tao H, Wang T, Dong X, Guo X, Xu H, Wan Q. Effectiveness of transcutaneous electrical nerve stimulation for the treatment of migraine: a meta-analysis of randomized controlled trials. J Headache Pain. 2018;19(1):42.